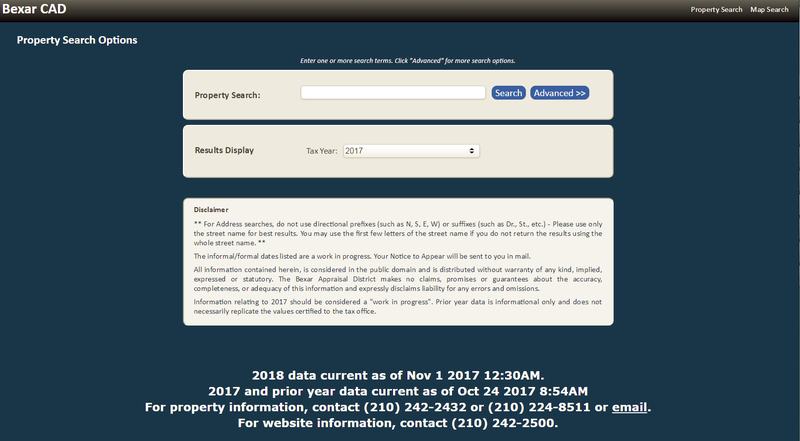 Bexar County Appraisal District sets the property valuations for each property within the county for each calendar year. Their property search and mapping functions are an incredibly useful source of information, and their dataset is fairly comprehensive. Great place to find deeds, plats, and other useful legal documents filed with the County.